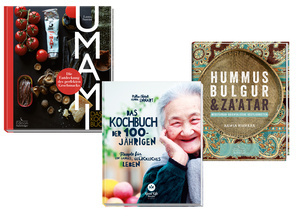 Premium cookbooks for sophisticated gourmets. Exquisite illustrated books for enthusiasts. 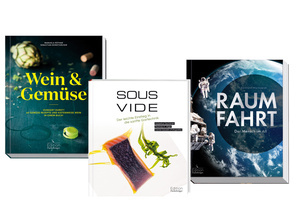 Fackelträger’s books are for readers with an eye for aesthetics and sophisticated content. Both traditional and groundbreaking topics in the field of culinary art play an important role in our programme. Highly informative and exquisitely illustrated books form the second major strand of our range. We work closely with renowned scientists and institutions such as the German Aerospace Centre. That’s how we are able to produce authentically excellent books that deal with everything from space travel to wine tasting. The editorial department of Fackelträger is a small, professional and creative team with an excellent feel for interesting content, good design and outstanding quality. Our specialist editors come from diverse backgrounds, from domestic science to art history and archaeology, and have years of experience with international publishers. Star chefs, wine experts, bartenders, top photographers, scientists, journalists: our authors are the best in their field. We know we can produce good books – on everything from outer space to wine cellars. And, of course, we have excellent connections with the culinary world: with the best restaurants, food reviewers and producers. Even in the last stages of the production process, our books live up to the highest expectations: we are environmentally conscious manufacturers and use only certified printers and paper suppliers. Our books are not always cheap, but are well worth the price – and they regularly win international awards for their content and quality. 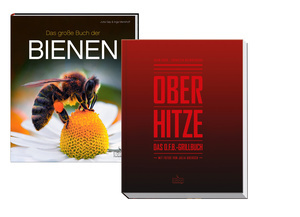 Our international business partners are like us: they produce individual, sophisticated and unusual books. We have been working with respected publishers in New York, London and Paris for many years. We are also a proven success on the international market and produce high-quality books to meet the ever-growing demand from China. The culinary world is becoming increasingly diverse and yet more and more globalised.